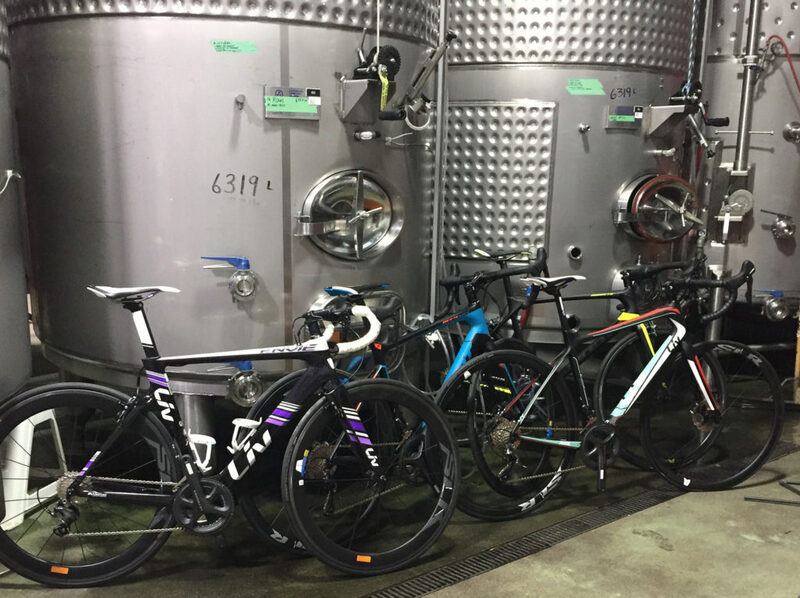 Graeme from Black Hills Winery has been organizing a fondo for a few years now. It is a small exclusive event, only 50 cyclists can attend. 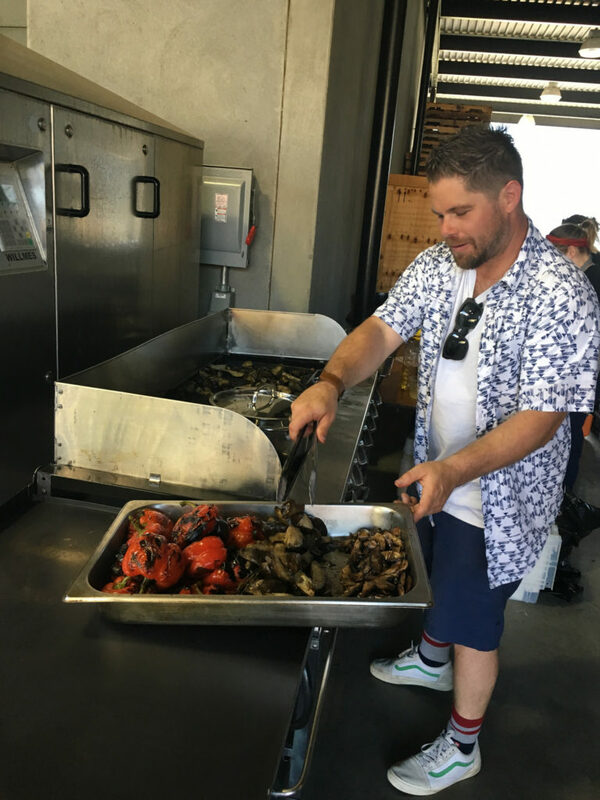 The event is a full weekend of riding and sampling delicious catered food with wine pairings. 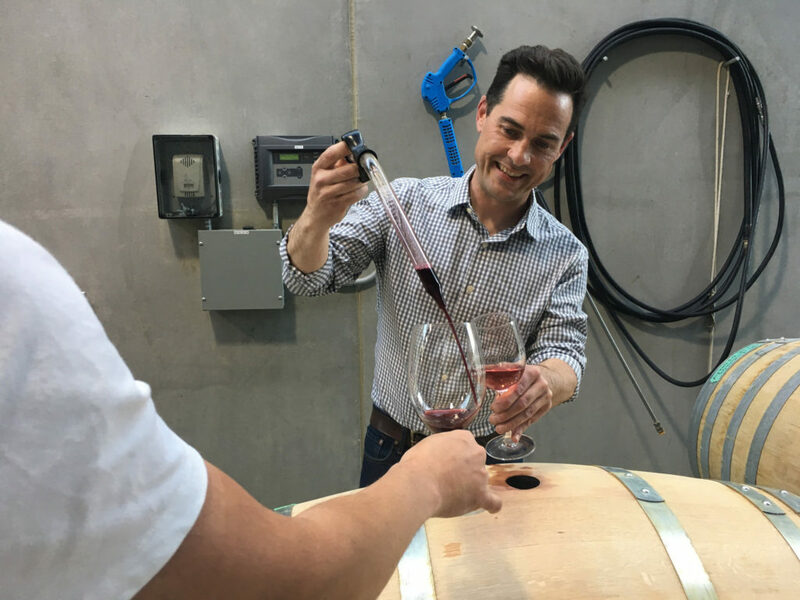 Graeme is an avid cyclist and collaborates with other wine makers that are also cycling enthusiasts. Stag’s Hollow (who offered lunch on the Saturday ride) and Bartier Bros were the other wineries part of the cycling weekend. 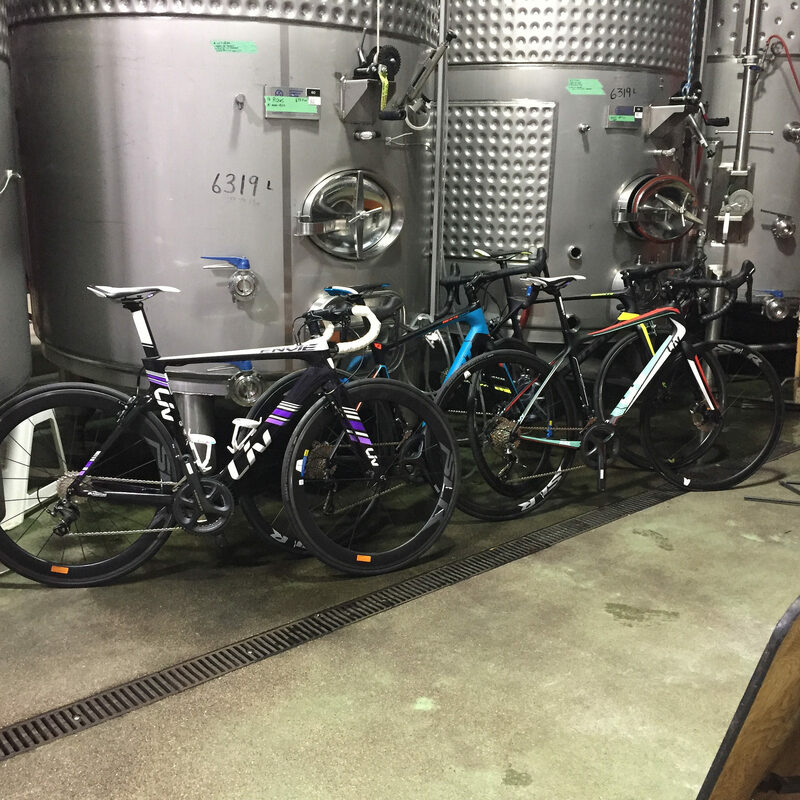 Nothing pairs like bikes and wine. 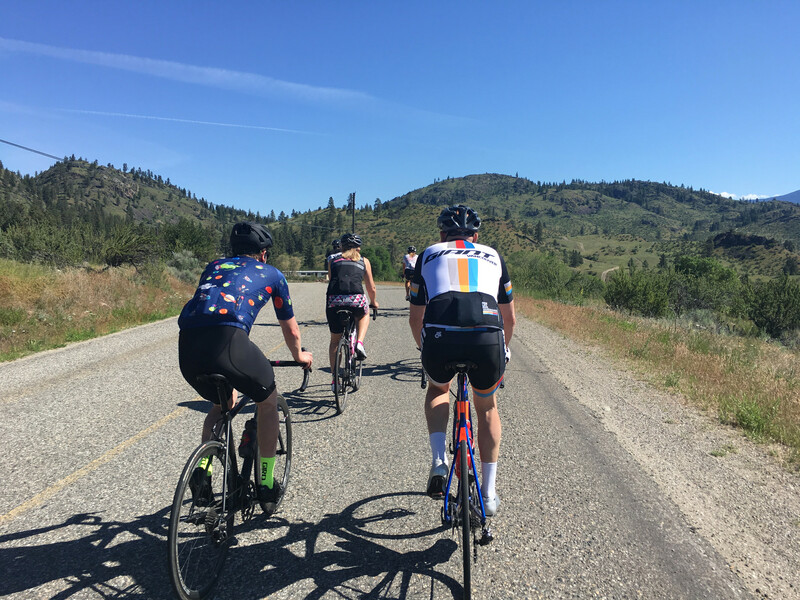 We could only attend the Saturday ride, which was a beautiful 120km (should have been 90 but we extended) through the beautiful roads of Okanagan’s wine country. 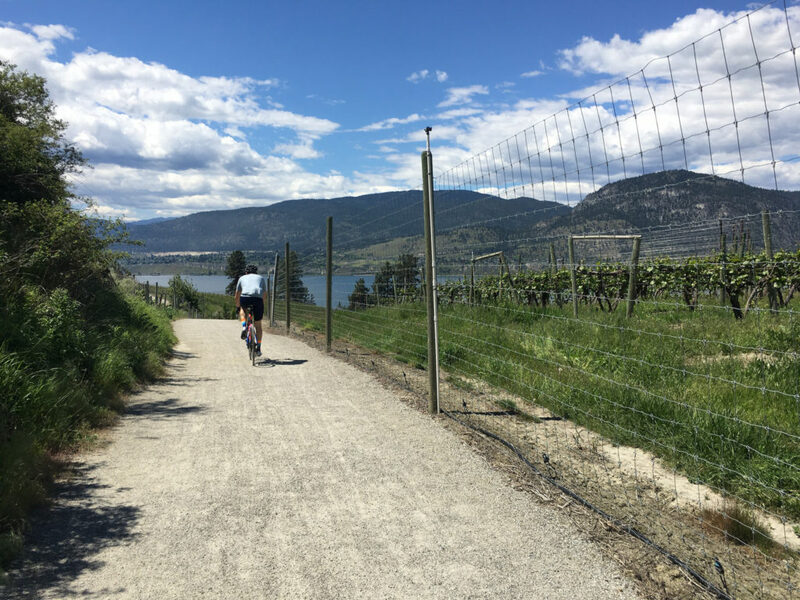 We rode from Osoyoos to Penticton on some amazing roads, breathtaking scenery and endless rolling hills. Dwight (Winemaker from Stag’s Hollow) was so proud to take us on his favorite road ride and show us the views — what a backyard he has! Wine tasting with Graeme from Black Hills. It was my first time riding in the BC Interior, but it will certainly not be my last! Kristi from Solfeggio restaurant (Pemberton) catered Friday night’s dinner and Saturday morning’s breakfast and Joy Road catering took care of that evening’s 5-course dinner. The food was all locally sourced and absolutely delicious!